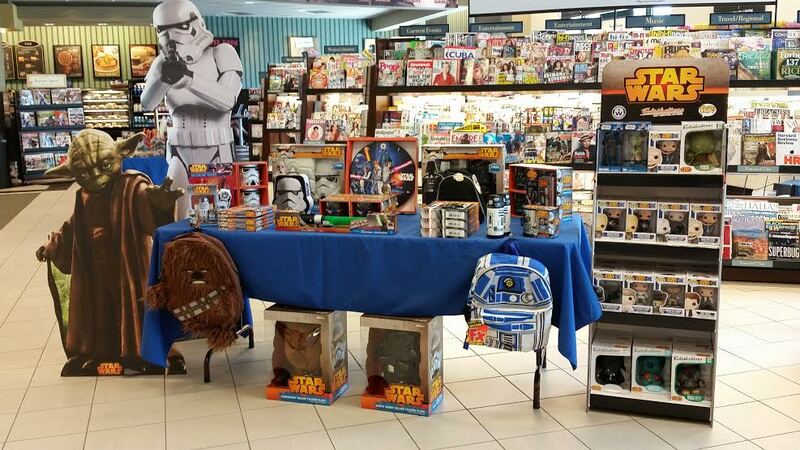 July 18, 2015 marked Star Wars day at Barnes and Noble as a part of their "Get Pop-Cultured" event. 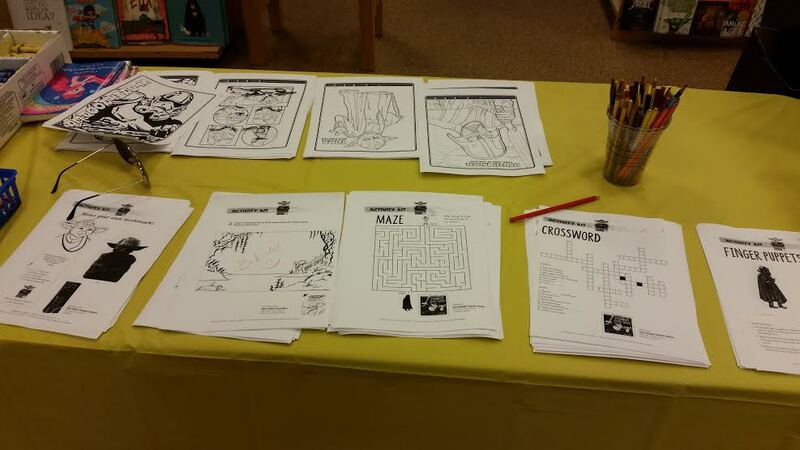 This event was designed for fans of all ages and spanned across Barnes and Noble stores around the United States. Activities were fairly consistent between stores, but not everything was 100% identical. Most stores included many activities for kids as well as adults. These items included story time (in which a Barnes and Noble employee would read a section of a Star Wars book to kids), coloring stations, trivia and free giveaways. Tables were set up across the stores that featured popular Star Wars merchandise and life-size standees also filled the stores. A few stores went above and beyond with decorating and ambiance. One Barnes and Noble employee has a father who is a Star Wars fan and he lent a life-size Han Solo in Carbonite replica to add atmosphere. At that same store, in the Nook section, a DVD was being played which was designed to promote the Star Wars digital release. This video included scenes from each Star Wars movie as well as the San Diego Comic-Con Behind the Scenes clip. For most people, the trivia was the most exciting activity of the day. The trivia took place in either the Movies and Music section or the Kids section depending on the store. Each store ran their trivia contest differently. One store read off the questions and for every question answered correctly, you were given a tally mark. For every 5 tally marks, you were given a raffle ticket which was used to enter a drawing for a life-size standee. Other stores read questions aloud and the top 3 finishers were given prizes (with the top prize being a life-size standee). In addition to the standee, prizes included a free drink at the café and a Star Wars collapsable water bottle. Guests were also permitted to snag some freebies. The freebies included 2 different posters with one poster being double-sided. 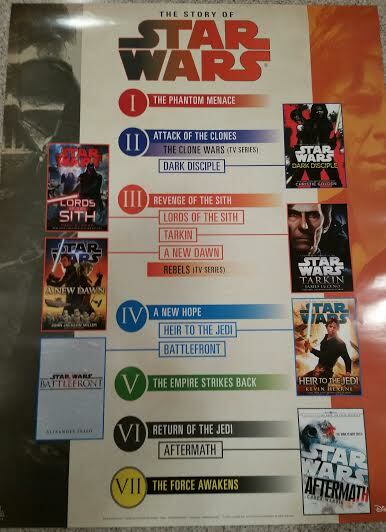 It is very apparent that Star Wars is something that is getting people excited again. While the excitement never really fully left, casual movie-goers are now feeling the excitement relating to The Force Awakens. You can expect many events like this to surface in the months to come leading up to The Force Awakens at various business and locations.